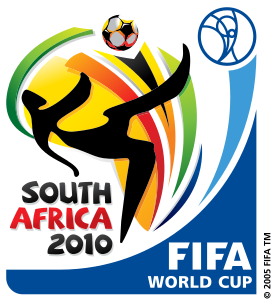 The 2010 World CupTM was held in South Africa. 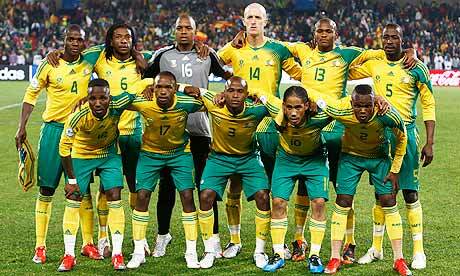 It was the first cup to be hosted in Africa, and was the 19th FIFA World Cup TM. The official poster was designed by the South African creative agency Switch, they also created the 2010 FIFA World Cup™ emblem. The opening ceremony took place at the Soccer City stadium in Johannesburg, two hours before the opening match of the tournament. Shakira performed the World Cup's theme song Waka Waka. 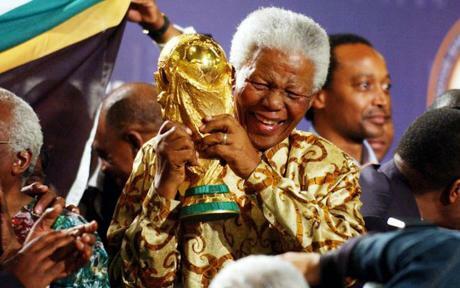 Sadly, Nelson Mandela, the former President of South Africa and anti-apartheid revolutionary, had to pull out of the opening ceremony after the death of his great-granddaughter in a car accident hours before. Ninety two year old Nelson Mandela and his wife Graca Machel, were however, able to attend the closing ceremony of the 2010 World Cup at Soccer City stadium in Johannesburg. 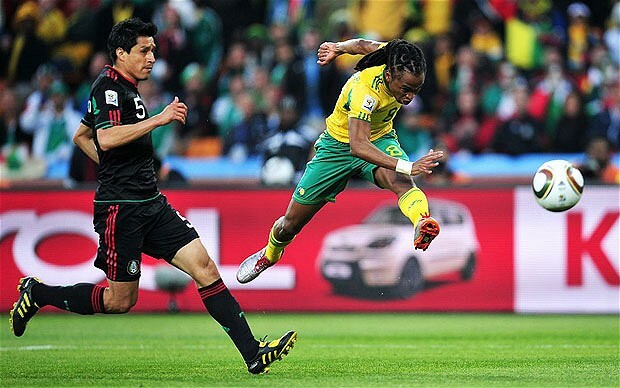 The opening game was between South Africa and Mexico ended in a 1 all draw. Nine host cities were chosen and the matches were played in 10 stadia, around the country. Five new stadiums were built for the tournament, and five of the existing venues, upgraded. Johannesburg (FNB Stadium – Soccer City and Ellis Park Stadium), Cape Town (Cape Town Stadium - Green Point Stadium), Durban (Moses Mabhida Stadium - Durban Stadium), Pretoria (Loftus Versfeld Stadium), Port Elizabeth (Nelson Mandela Bay Stadium ), Polokwane (Peter Mokaba Stadium ) , Nelspruit (Mbombela Stadium ), Mbombela Stadium (Free State Stadium ), and Rustenburg ( Royal Bafokeng Stadium). Six of the ten venues were over 1200m above sea level, with the two Johannesburg stadiums (Soccer City and Ellis Park) the highest at approximately 1750m. Complaints were lodged the high altitude affected the motion of the ball and player performance, but these were downplayed by FIFA. The FNB Stadium in Johannesburg (1753m), and at sea level, the Green Point Stadium in Cape Town and the Nelson Mandela Bay Stadium in Port Elizabeth, hosted 8 matches each. To further ensure the safety and security of spectators a temporary restriction of flight operation in the airspace surrounding the stadiums was implemented. Two hundred and four (204) FIFA National teams started the journey to the 2010 FIFA World Cup TM finals. South Africa (the host nation, ) qualified automatically and were joined by: Denmark, England, France, Germany, Greece, Italy, the Netherlands, Portugal, Serbia, Slovakia, Slovenia, Spain, Switzerland, Honduras, Mexico, United States, Argentina, Brazil, Chile, Paraguay, Uruguay , New Zealand, Australia, Japan, North Korea, South Korea, Algeria, Cameroon, Ghana, Ivory Coast, and Nigeria, Slovakia made their first appearance as an independent nation and had previously been represented as part of the Czechoslovakia. Player representatives came from 52 national leagues. Of the 736 players participating in the tournament, over half played their club football in five European domestic leagues; those in England (117 players), Germany (84), Italy (80), Spain (59) and France (46). 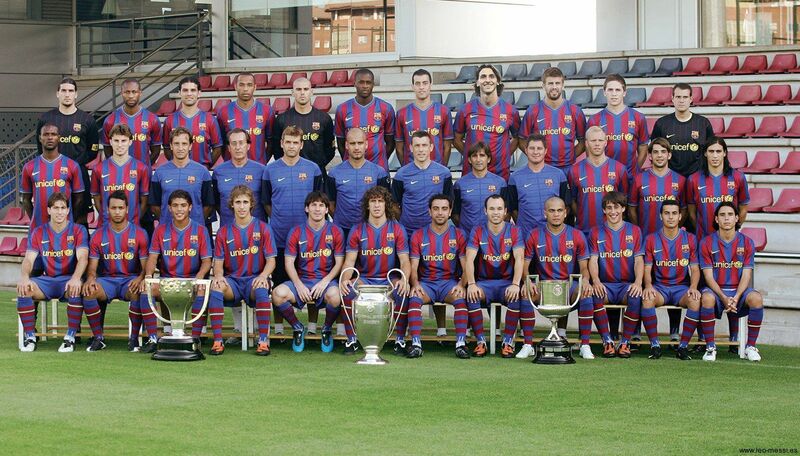 FC Barcelona contrinuted the most players to the tournament, with 13 players of their side travelling, 7 with the Spanish team, while another 7 clubs contributed 10 players or more. 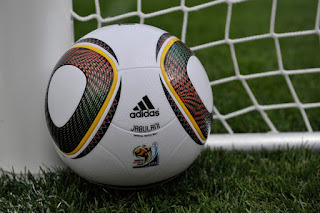 The Official match ball was the adidas Jubulani (Zulu word for bringing joy to everyone) and was developed in partnership with researchers from Loughborough University, UK. Eight thermally bonded, three-dimensional panels, spherically moulded from ethylene-vinyl acetate(EVA) and thermoplastic polyurethanes (TPU) formed the sphere and the surface of the ball was textured with grooves to improve the ball's aerodynamics. The adidas Jubulani featured eleven colours, representing each player in a team and the eleven official languages of South Africa. 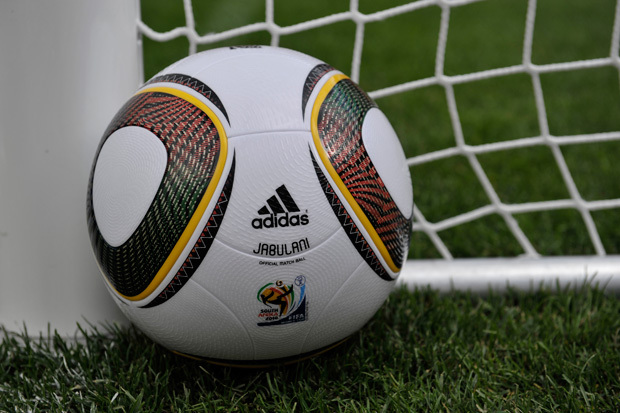 As in previous World Cup many players especially goal keepers, complained the trajectory of the new ball was difficult to predict. These claims were countered by more favourable reports from a number of Adidas-sponsored. Only 145 goals were scored at South Africa 2010, the lowest of any FIFA World Cup TM since the tournament switched to a 64-game format. Siphiwe Tshabalala (South Africa) scored the first a goal in the competition, and Daniel Agger (Denmark) netted the first own goal, in his side's 2–0 loss to the Netherlands. Gonzalo Higuaín (Argentina) scored a hat-trick in Argentina's 4–1 win over South Korea. It was the 49th World Cup hat-trick in the history of the tournament and the only one in 2010. Four players shared the top goal scored with five goals each. 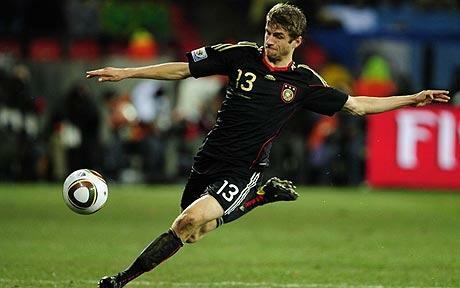 The Golden Boot went to Thomas Müller (Germany) . 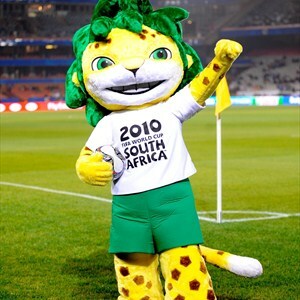 The official mascot for the 2010 FIFA World Cup TM was Zakumi, an African leopard in yellow and green, the colours of the South African team . The name was a combination of "ZA" ( international abbreviation for South Africa) and the ‘kumi’ ,"ten" in various African languages. The character design was created by Cape Town designer, Andries Odendaal and appeared with the official motto "Zakumi's game is Fair Play." 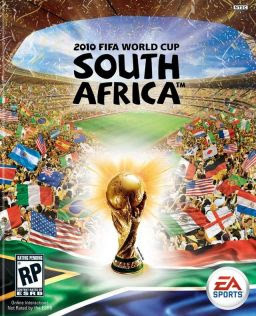 The official video game of the 2010 FIFA World Cup TM was 2010 FIFA World Cup South Africa, and was published by EA Sports. Several changes were made to the software to allow the gamer to set power and accuracy of penalties which proved particularly successful and standard for future games. A Wii version featured more stylized graphics with multiple control schemes and gamers could use quick-time events to save free kicks or penalty shots, or to win possession of the ball after it is punted or corner-kicked. The video game was eagerly awaited and met with a mixed reception which was generally favourable. Despite the misgivings the game sold in its millions. Once again the competition was advertised widely on television. 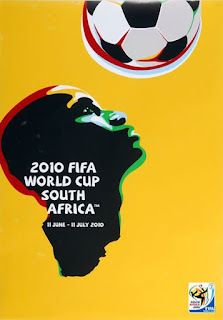 Approximately 69 countries from around the world issued stamps commemorating FIFA World Cup TM 2010. 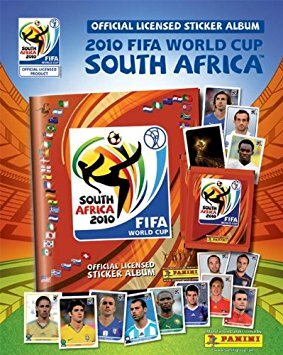 Panini too released their ever popular stickers and sticker album. As per previous tournaments, the 32 teams competed in round-robin of four teams for points. Teams were awarded three points for a win, one point for a draw and none for a defeat. with the top two teams in each group proceeding the Round of 16. The tournament was noted for its highly defensive opening matches and in Group A, Uruguay and Mexico topped their division knocking out host’s South Adrica and France. In Group B, Argentina and South Korea were the victors and United Staes and England tied at the top of Group C. In Group D, Germany and Ghana progressed over Australia and Serbia. Group E winners were the Netherlands and Japan. In Group F, Paraguay and Slovakia came top to progress surpassing Italy who were eliminated with just two points, behind underdogs New Zealand. After drawing all their games, New Zealand were the only unbeaten team at the finals. In Group G, Brazil and Portugal advanced to the knockout stage and Group H, Spain and Chile came top. The highest scoring game of the round was Portugal v North Korea who were beaten 7 – 0. In the final 16 round, only six out of 13 UEFA teams progressed, a record low. There were four rounds of matches, with each round eliminating half of the teams entering that round. The successive rounds were the round of 16, quarter-finals, semi-finals, and the final. For each game in the knockout stage, any draw at 90 minutes was followed by thirty minutes of extra time; if scores were still level, there was a penalty shootout to determine who progressed to the next round. Eventually the quarter finalists were: Uruguay (4) and Ghana (2) after penalties; the Netherlands ( 2) and Brazil (1 ); Argentina (0) and Germany (4); and Paraguay (0) and Spain (1 ). After the Semi Finals, Netherlands and Spain won through to the final . 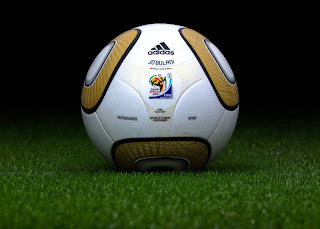 The adidas Jo'bulani, was a special gold version of the Adidas Jabulani ball used exclusively for the final match of the tournament at Soccer City, Johannesburg. In front of ‎‎84,490 spectators and a global audience of an estimated 910 million viewers worldwide, the Battle of Johannesburg between Spain and the Netherlands, saw the former win, 1–0, in extra time. 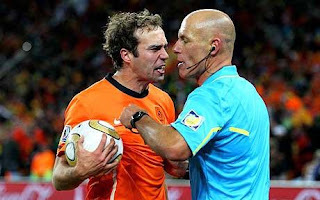 It was a hard fought match with 14 yellow cards (9 to the Netherlands and 5 to Spain) issued by referee, Howard Webb (England). John Heitinga (the Netherlands) was sent off for receiving a second yellow card. Though considered as one of the tournament favorites, the Spaniards won the cup despite scoring only eight goals in seven games and losing their opening match to Switzerland. Spain were the third side to win a World Cup final playing in their away (black) kit, and quickly changed into into their red shirted home kit for the presentation. These shirts had a star over the emblem, signifying Spain's World Cup victory.